Teamwork should NOT be hard. 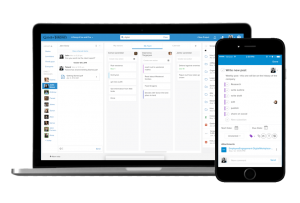 Hive brings together your team’s actions, messages and files onto one powerful dashboard. Over 100 integrations connect Hive to the applications you use. 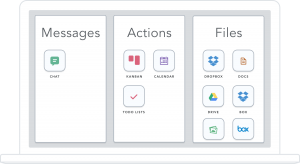 Move seamlessly between your action list, your messages and your files without ever needing to switch windows. Even your other tools plug right in. We know you’re not always by a computer, so Hive is available wherever you are. We have powerful apps for Apple and Android tablets and phones. Enter you email address to start your free trial of Hive today.